A memorial service will be held 2 pm, Saturday, February 9, at First United Methodist Church, 230 E Skyline Pkwy, Duluth. There will be a visitation one hour prior to the service. 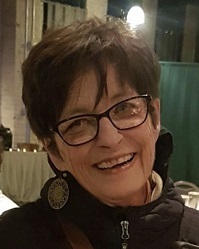 Sharon Kay Waterman, age 70, born on July 24, 1948 in Aurora, MN died in her home on February 6, 2019, after a long fight with cancer. 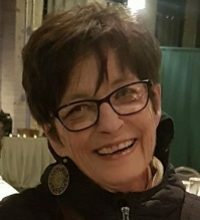 Those who knew and loved her will miss her laughter, kindness, thoughtfulness, and ability to be straight and to the point. She was a knitter, crafter, painter, had great style, and loved to help others. Sharon is survived by; her husband, Paul; daughters, Hannah Waterman and Rachel (Saul) Passeri, son, Aaron (Oree) Waterman; granddaughter, Karlee; brothers, Greg (Mike) Leiviska and Dale (Linda) Leiviska; sister in law, Carol (George) Nichols, and numerous nieces and nephews.